Friday’s Panmunjeom Declaration is being met by strikingly different assessments from the country’s political parties. “(The declaration) will be recorded as a historical feat that was a turning point not only in inter-Korean relations but for the political situation on the Korean Peninsula,” a Democratic Party spokesperson said. The main opposition Liberty Korea Party criticized the declaration and accused Moon of accepting North Korea’s demands without achieving any goals. “(Moon) agreed with North Korea’s unification strategy but failed to even mention dismantlement of the North Korean nuclear (program),” Liberty Korea Party chairman Hong Joon-pyo wrote on this Facebook account. 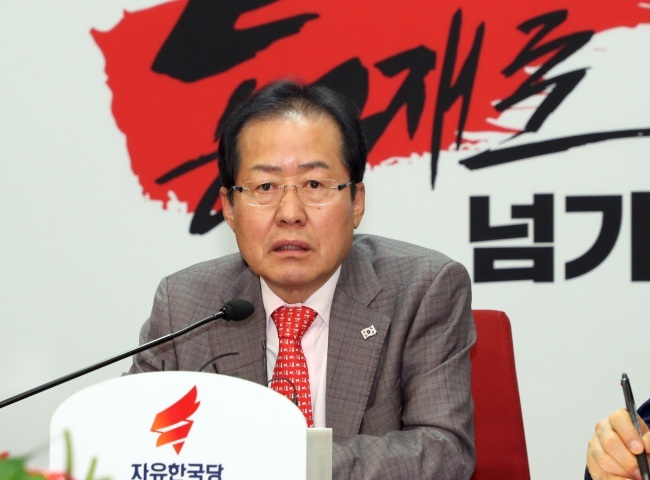 The more moderate Bareun Mirae Party welcomed the declaration, but called for concrete steps. Ahn Cheol-soo, the party’s Seoul mayor candidate, said that the term “complete denuclearization” being included in the declaration was very significant, but that North Korea must now take action.